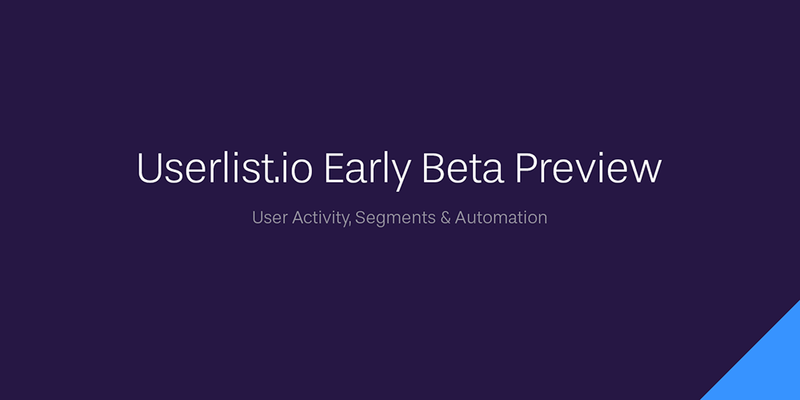 We’ve been very open about our process at Userlist.io so far, but one common sentiment has come up lately… In spite of detailed updates, a lot of folks still aren’t sure what our product does at this stage, what’s inside, and how exactly we can help your SaaS business. What are our goals at this stage? Create a simple, lightweight experience for you (while maintaining key features). Give you an overview of your users, so that you don’t have to build an admin dashboard yourself. Help you set up your first basic campaign (or a few) as fast as possible. Empower advanced automation based on events and properties, should you need that. Focus on post-signup users only, unlike other email marketing tools. Focus makes great things possible!